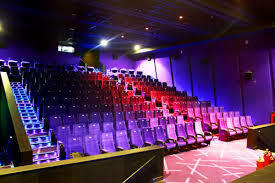 Delite cinema hall Review is very famous cinema hall in Kanpur. It is very well-known cinema in Kanpur nagar. The sound quality of this theater is very good. It has all modern facility which is required.It is best place for entertainment.It is few distance from Kanpur central railway station.It is situated on very good place in the city. People are enjoying there.You can also book movie ticket through telephone.It is really very good thing so that people can easily book their ticket.